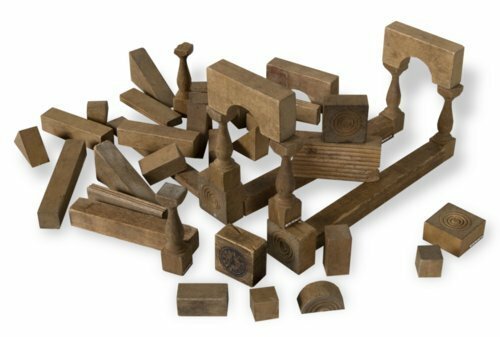 This set of wooden blocks was owned by Mary Josephine Patterson Hambleton (b. 1879) and later given to her son, Philip Newton Hambleton (1910-1991). They were used in Lincoln, Le Roy and Topeka, Kansas.